Stewards are volunteers that help us open the garden to visitors and give out information about the plants and history of the house and garden. They ensure visitors do not damage the garden or cause a health and safety risk. They also make a note of visitor numbers, any wildlife spottings and raise any maintenance issues. The garden is a peaceful oasis and the role is very relaxing. We have a diary for dates of shifts which are 1pm-4pm daily. You will be briefed and given a mini induction of Scaplen's Court and Poole Museum and will have full support of front of house staff. We hold an annual cream tea in April to all gather together, go through health and safety notes and have some wonderful scones in the Scaplen's Court House kitchen. 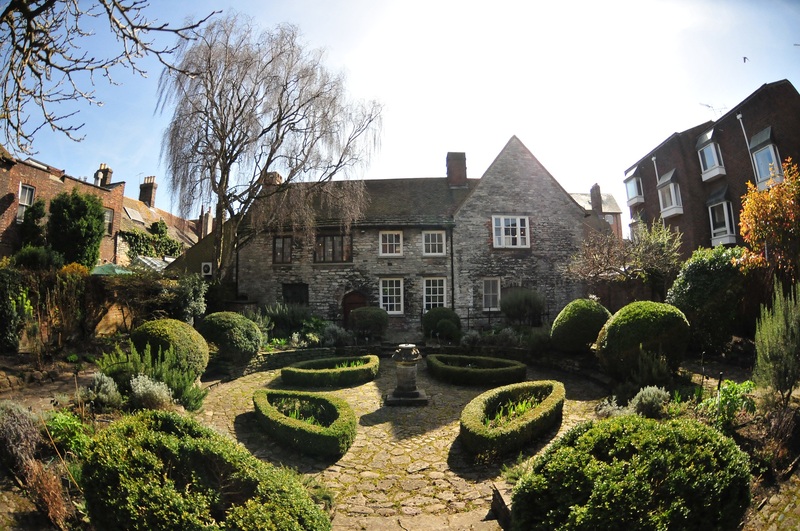 If you would like to put your name down to steward in Scaplen's Court garden, sign up on this website first. If you would like to know what shifts are available please ask at Poole Museum main reception who hold the diary. Alternatively, call 01202 262603 to enquire.